The National Institute of Science Education and Research Is a research institution in Jatani, Odisha. NISER was established in 2007 and achieved a ranking among top research institutes in India. 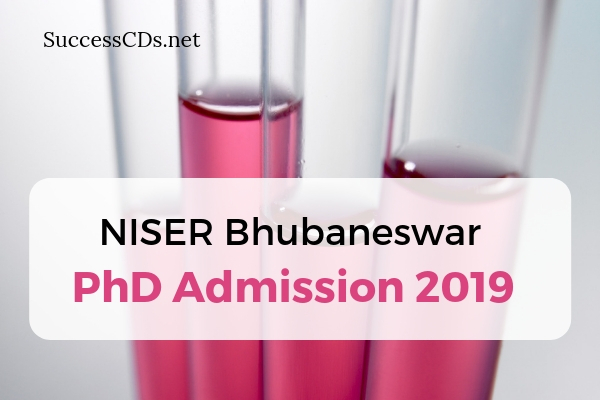 NISER Bhubaneswar has excellent facilities and faculty at par with the top rated institutes in India. Computational Geometry, Cryptography and Cyber Security, Cyber Physical Systems, Graph Algorithms, Machine Learning. The application form has to be filled up online at https://www.niser.ac.in and candidates should follow stepwise instructions mentioned to complete the application submission process. At the time of application, along with this online form, the candidate should upload soft copy of the supporting documents as per the eligibility criteria.